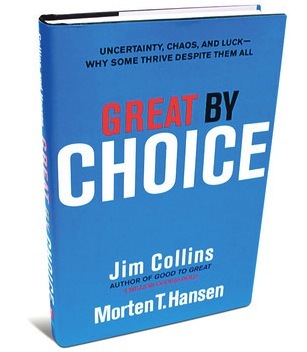 Overview: This incredible book tackles the question of why in spite of uncertainty, chaos and market volatility, some companies thrive and others flounder. Collins tackles this question by comparing companies who out performed their competitors by a factor of 10 (he calls them 10Xers) given a similar timeframe and set of variables. 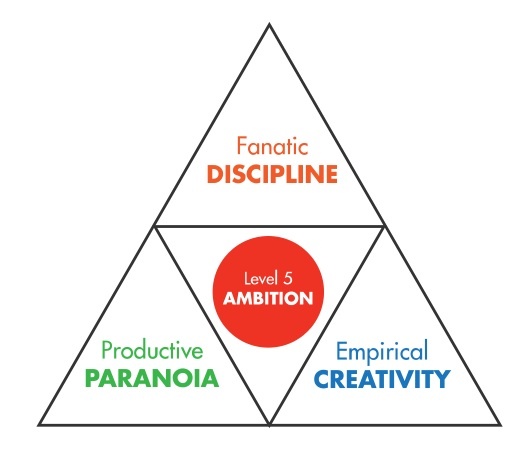 Collins research unearths three remarkably profound, yet simple characteristics of the leaders of these 10Xers and they make up the framework for the book. Each chapter contains numerous case studies and anecdotes. These will not be included in this summary, however, they are priceless and should be read by anyone who considers themselves a student of leadership, or simply wants to get better at what they do. The purpose of this summary is to draw out the major principles presented in this book to serve both as a reference for those who have read the book, and to inspire those who haven’t, to take the time to read it. Click here to read the full summary! Blogging in the Classroom: Why your students should write online!